Bank Holiday Opening Hours may vary. 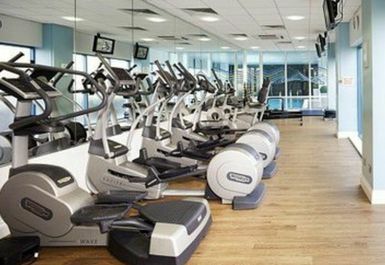 Inbalance Wellnes by Novotel Cardiff is located in the very centre of Cardiff making this health club one of the best options for those visiting the city or working in the area. 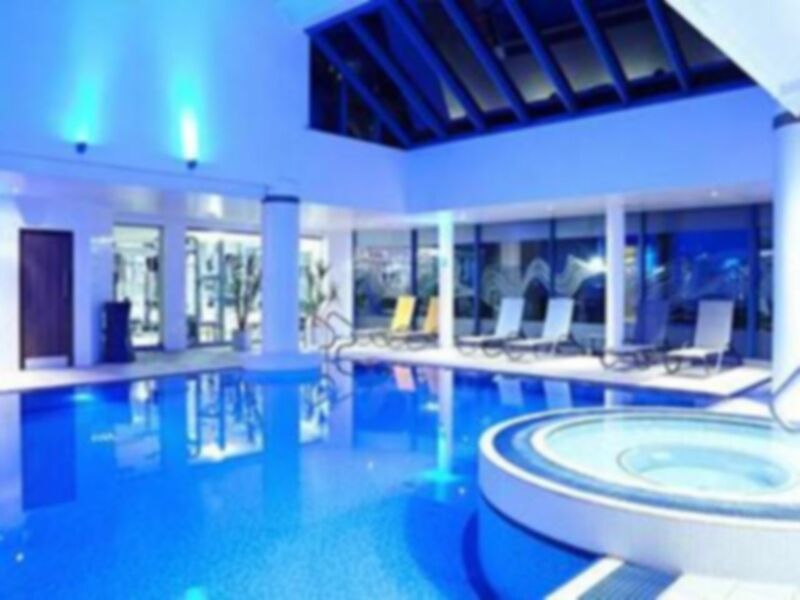 With state of the art facilities and a team of experienced staff all in this great location you’ll enjoy one of the best leisure experiences in Cardiff. 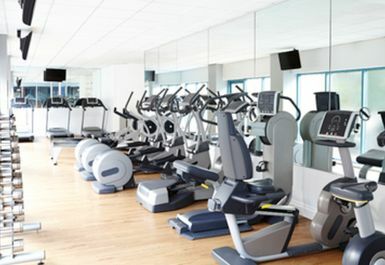 The compact fitness suite is fitted out with the latest Technogym fitness equipment including treadmills, cross trainers and bikes as well as Concept 2 rowing machines. 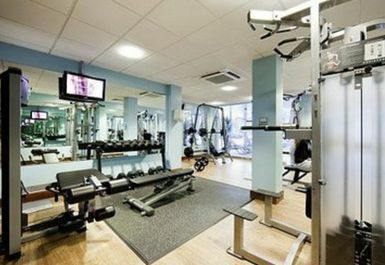 Add some strength training to your routine by taking advantage of the resistance machines and free weights area. If you’ve had a tough workout and want to relax afterwards then the spa facilities at Inbalance will be exactly what you are looking for. 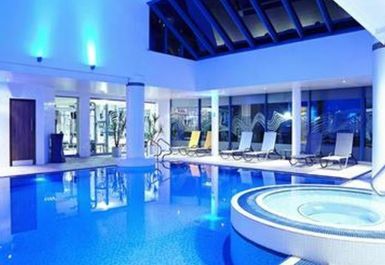 The indoor heated pool is great for those swimming for leisure or fitness. You can then move on to the Jacuzzi, sauna or steam room which are great for helping the muscles relax after a workout. If you have any questions about your workout, need a few tips or just some friendly motivation the staff here will be more than happy to help out! For those visiting Cardiff, the hotel is within walking distance of both the Millennium Stadium and Cardiff Bay shopping area so it’s ideal if you’re looking to unwind after a long day soaking up the city’s sights. 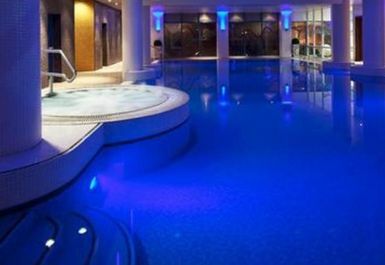 Inbalance Wellness is located within the Novotel Hotel, Cardiff Centre on Schooner Way. If you’re visiting Cardiff by train the hotel is within 10 minutes walk from Cardiff Central Station (Cross Country, First Great Western and Arriva Trains Wales). Bus routes 1 (Clockwise) and 2 (Anti-Clockwise) both stop just outside the hotel on Tyndall Street. Hotel parking is available and is free for up to 3 hours. Pleasant enough visit to cardio room and post workout visit to sauna and steam room. Not convinced it was worth amount paid on payasugym as changing rooms were cramped (even though quiet so can imagine tricky at peak times), not the cleanest and toilets and dryers (and clothes dryers) broken. Good amount of equipment for space there is and never too busy. Changing rooms could do with a clean! Friendly reception staff, answered any queries. Good range of equipment and lovely spa facilities. Only downside was the temperature in the gym was too warm. Only used the pool area on this visit, which was nice - but the steam room wasn't fully functioning on this visit. Great location, friendly staff, great atmosphere and clean shower rooms. Swimming pool is nice size and it’s quieter than the Cardiff City Centre pools. Great pool and spa facilities, gym is a bit small but only come here for the pool! Really nice gym and staff. The pool is kept a little hot for me, but still a really nice place. Very nice hotel with gym and pool, excellent steam room and jacuzzi. Easy to use pass and free parking was ideal. Staff very helpful and changing area clean and tidy. Gyms are a little bit small but well equipped. The pool was lovely as was the sauna and steam room. The changing room (and floors in general), however, were filthy. Definetly bring shower shoes!